I work two shifts a week at the gate booth at Quail Creek State Park, Tuesday and Wednesday from 7:00 a.m. – 2:30 p.m.
OK, as if that were not enough to make for a bad day…, I had an elderly man walk up to the gate booth, with his oxygen tank in tow, and ask to buy a senior annual pass. Senior passes (for those 62 and older) are $35. A regular annual pass is $75. Without boring you with all the detail of logging in ANY annual pass, lets just say it takes longer than any other function we do other than assigning a campsite for campers. I finally finished my shift, and was running my financial report that shows how much money I brought in that shift and that is the amount you are to deposit into the safe before you leave… when I realize, my drawer is $10.00 short and I have no idea why… I counted and recounted the money but every time it came up $10.00 short. So I made a note of that in my financial report comment section, printed it out, signed and dated it, wrapped it around the money and deposited it in the safe. Now, what to do about letting the park complex manager, Laura know about the error I made with the annual passes… I went home and immediately put together an email outlining the details of “who, what, when, where, why, and how it all happened… I also included that my drawer was $10.00 short that day…. I copied my supervisor, Karen on it so Laura would not have to try to convey the details to Karen when she returned to the office, I apologized for my errors and asked them to let me know what more they might need me to do. 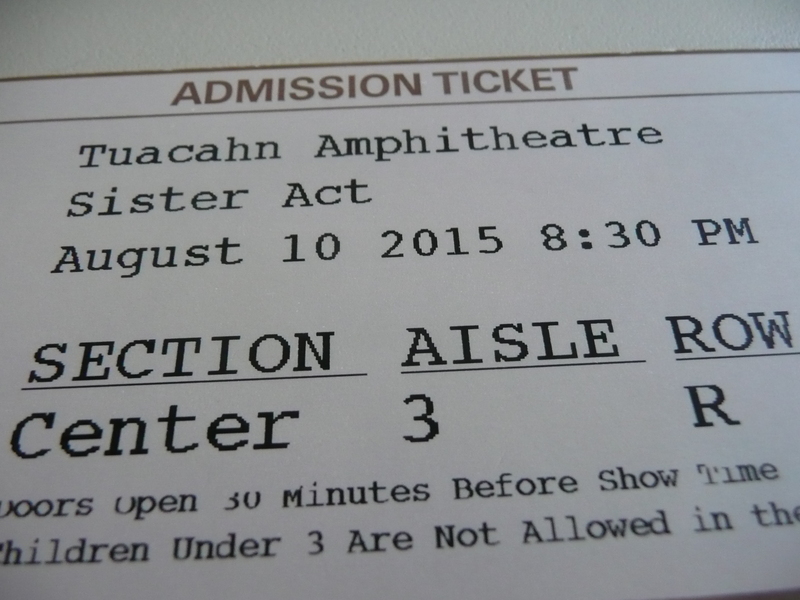 This is showing at the amazing Tuacahn Amphitheatre not far from Quail Creek. The photo below is from their website. Laura even gave the other winter camp hosts tickets because she said she wanted us to have someone our age to go with and that it would give us an opportunity to get to know each other better. How nice and thoughtful that was. What a day you had, but it all turned out better than you could have ever dreamed! You deserve Happy Hour ASAP and just to relax and take a deep breath in and deep breath out!